The Self-supporting telescopic kit was designed by FAC to solve the problems of space. It is a combination of a telescopic and a self-supporting system able to guarantee an efficient and very safe closure. 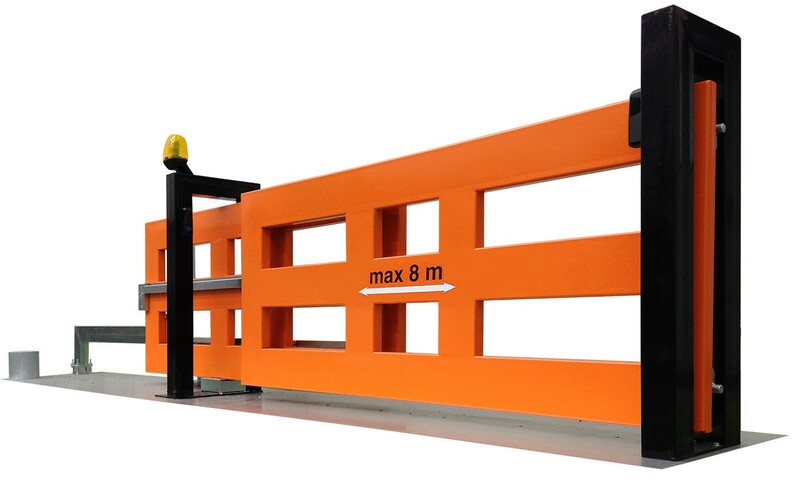 This system doesn’t need a ground rail; therefore, it is perfect if the gate opens with difficulty because of snow or gravel or because there are only a few available meters. The self-supporting telescopic kit is perfect for residential and industrial uses. 2 regulation plates of ground rod. Other optional accessories are available such as stoppers and guide rails. The self-supporting telescopic system meets the values of quality and technological evolution that have always made our company stand apart. As usual, at FAC, we are constantly looking for the best solution to offer you with unique and innovative products. Discover the self-supporting telescopic kit or come and visit us in Isola Vicentina: our professional experts will help you choose the best solution to meet your needs!